The panel hearing the case between Vinasun and Grab appears to be taking the more prudent approach before giving a ruling. It has adjourned the first-instance hearing until 22/11/2018; to have more time to verify and collect evidence before providing its conclusion regarding the alleged VND41 billion damage suffered by Vinasun. However, whatever the result may be, the jurisdictional body will without doubt find it hard to please the plaintiff, the defendant and others with an interest in the case due to the differences in viewpoints. It is certain that controversies over the dispute will last even after the judgment has been given, although these controversies are not really about the judicial independence of the hearing panel and the rule of law it adopts. In this article, the author discusses only the legal aspects of the dispute. Simply put, how to interpret the institution of tort liability in settling the claim for compensation, in this case Vinasun initiating against Grab? Pursuant to the 2015 Civil Code, what are the decisive elements on which the jurisdictional body will rely on to reject or accept Vinasun’s claim for compensation? The buffalo sues the tractor: Why not? In this case, many people compare it to a “buffalo suing a tractor” to imply that this act is unreasonable and should not be done. But I think this is not about whether the buffalo should sue the tractor, but rather if the buffalo has the right to sue the tractor. Then, if this is a sensible and substantiated law suit, it is up to the buffalo to decide whether to sue the tractor. Similarly, the question is what is the legal ground on which Vinasun can sue Grab to claim compensation – is it perhaps something unreasonable and against the progressive trend of the industry 4.0 that they seek compensation from Grab. Pursuant to the 2015 Labour Code, initiating lawsuits for compensation can be classified into two types: compensation for breach of contracts or for tort. Based on information of the dispute, it is evident that Vinasun relies on the institution of tort liability to initiate a lawsuit against Grab. Article 584 of the 2015 Labour Code provides grounds to claim compensation from people (organizations and individuals) who cause damage to others by violating their legitimate rights and interests, and must pay compensation. Accordingly, the right to initiate lawsuits for compensation from Grab automatically arises when Vinasun thinks that its legitimate rights and interests are damaged due to Grab’s unlawful business conduct. However, there is still a sizeable chasm between the ability to initiate legal proceedings, to the court’s acceptance of such lawsuit. Pursuant to the 2015 Labour Code, Grab’s compensation liabilities only arise when the following conditions are met: (i) Grab commits a violation; (ii) Vinasun incurs damage; and (iii) a causative connection exists between Grab’s violation and the damage caused to Vinasun. Evidence review and examination and court hearings are all aimed to clarify if Vinasun’s lawsuit claim satisfies all the three preconditions above. The plaintiff’s tort claim is rooted in the defendant’s violation against law. It may be a violation against law in general or against the regulations issued by competent state agencies, which are not limited to any particular legal sector. Especially, the element of fault of a violation is not mentioned in the 2015 Labour Code. This is a point difference from the 2005 Labour Code, which requires a violation to be due to a “deliberate or unintentional fault”. As such, according to the new labour code, to prove a violation which causes compensatory damage, the plaintiff does not need to indicate who was at fault of that violation. Back to the case between Vinasun and Grab, the matter as to if Grab has committed a violation will revolve around arguments and evidence that Vinasun may provide to prove that: (a) Grab has taken advantage of the regulations that allow it operate under the form of a technology company which is entitled to more incentives, to provide the taxi service; and (b) whether Grab has also provided a promotional program in violation with the commercial law? On the other hand, Grab has the right to agree or disagree with allegations from Vinasun by presenting its arguments and evidence to convince the hearing panel. If the judge agrees with Grab’s contention that they did not commit the violations as accused, there will be no compensation awarded to the plaintiff. Article 584.1 of the 2015 Labour Code regulates that: “People whose conducts injure others’ health, honour, dignity, prestige, properties, rights, or other legal interests, thereby causing damage, must compensate for such damage”. As opposed to the 2005 Labour Code, Article 585 of the 2015 Labour Code stipulates that damage must be of an “actual nature”. However, there is no regulation that defines actual damage in detail. In principle, actual damage in this case may belong to the two basic categories (i) damage to mental or physical health such as damage to prestige, reputation, dignity, and sentimental or psychological collapse, injuries to people’s health, and (ii) material damage such as when properties are lost, destroyed or broken; expenses are incurred to remedy or prevent damage to the benefits or income which should be received otherwise. If damage is converted into material value, particularly money, it is very important, in settling properly the dispute over compensation for tort, to determine the exact amount of damage caused by the defendant’s violation. This is especially true for such a complicated dispute between Vinasun and Grab. The condition on the causative connection between damage and the defendant’s violation plays an important role in evaluating the final amount of compensation. It will be no use proving that the defendant has committed the violation if the plaintiff cannot prove that this damage occurred as a result of the violation. It is a simple truth that the defendant is not obliged to pay compensation for the damage that was not caused by their fault. In my opinion, this is the most complicated and “challenging” task lawyers face in the course of providing legal services to their clients, either plaintiffs or defendants, in disputes over compensation for tort. This is not an exception to the case between Vinasun and Grab. In light of the fact that many “technology companies” are, along with Grab, providing taxi services, and there is fierce competition among traditional taxi companies, forcing Grab to be liable for Vinasun’s deficit in profits is somewhat compulsive and not really persuasive. Not only does Vinasun have to prove the three preconditions above are satisfied, the damaged party may have to, in order for the court to accept the claim, prove that it has taken necessary and reasonable measures to prevent or limit the damage, as Article 585.5 of the 2015 Labour Code stipulates that: “The party whose rights and interests are violated will not be compensated if it suffers damage due to not taking necessary and reasonable measures to prevent or limit the damage.” Now, the question is what Vinasun has done to prevent or minimise damage being sustained before initiating the lawsuit. It is not easy for the plaintiff to prove this matter and convince the court because the law does not currently provide any further definitions on necessary measures other than the aforesaid. With the law silent, the outcome will depend on the sense of justice and beliefs of the judge. If you have any questions or need legal advice, you can get a Quick Consult with other lawyers with similar expertise. With Quick Consult, from a transparent, flat fee from $49, a lawyer will call you back within 1-2 days to answer your questions. This article was written by Lac Thi Tu Duy from Phuoc Partners and was first published on the Saigon Economic Times. After graduating from Ho Chi Minh City University of Law in 2007, Ms. Tu Duy began working for Vilaf – Hong Duc, a leading law firm in Ho Chi Minh City, specializing in tax, labour and employment and security transactions until the end of 2008. From 2009 to date, Ms.Tu Duy has been working for P&P and involved in a large number of cases in a variety of legal fields, including civil, family, labour employment, tax, real estate, corporate governance and other business and commercial issues. 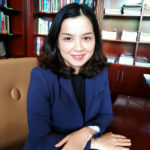 As relating to the mentioned legal fields, Ms. Tu Duy acted as one of the leading litigators of the litigation team and has extensive experience working with various dispute resolution agencies and other state authorities to resolve related disagreements effectively.